The following prices are valid for purchase at a ticket office/agency Venezia Unica and Golden Keys Associated Hotel, at the self-service ticket machines of: Piazzale Roma S.Chiara, Ferrovia Scalzi, Ferrovia S.Lucia, S.Marcuola, Ca’ d’Oro, Rialto, S.Toma’, Zattere, S.Marco Vallaresso and Giardinetti, S.Zaccaria Danieli and Pietà, Arsenale, Lido S.M. Elisabetta, Burano, Punta Sabbioni, Marco Polo Airport, municipal carpark in P.le Roma, Ospedale dell’Angelo, or from the network of official dealers Actv. Allows 75 minutes of travel on the Navigation network (excluding Alilaguna lines, Actv routes n°s 16, 19) from the moment of validation. One piece of hand luggage is included in the cost, the sum of its three dimensions must not exceed 150 cm. It allows you to make a return trip on waterborne route 14 from Venice to Lido SME and back and from Punta Sabbioni to Lido SME and back. The ticket also includes the Lido di Venezia bus lines. This ticket only covers the following routes: Lido S.M. Elisabetta-S.Elena or Giardini; St.Mark’s S.Zaccaria-S.Servolo; St.Mark’s S.Zaccaria-S.Giorgio; Zattere-Palanca; Murano Colonna-Cimitero o Fondamente Nove and Chioggia-Pellestrina. Time tickets are the most economic solution for anyone wanting to travel about Venice and its districts using ACTV travel means. They allow an unlimited number of trips and can be used on all transport means, both navigation and land, the Mestre Urban Network (excluding trips to and from the Marco Polo Airport) and Lido buses involved in Venice Municipal area urban routes. Can be purchased from the Venezia Unica ticket desks, the self-service ticket machines of: Piazzale Roma S.Chiara e Parisi, Ferrovia Scalzi, Ferrovia S.Lucia, S.Marcuola, Ca’ d’Oro, Rialto, S.Toma’, Zattere, S.Marco Vallaresso and Giardinetti, S.Zaccaria Danieli, Jolanda and Pietà, Arsenale, Fondamente Nove, Lido S.M. Elisabetta, Burano, Punta Sabbioni, Marco Polo Airport, municipal carpark in P.le Roma, Mestre FS and Sottopasso, via Castellana, or from the network of official dealers Actv. Allows unlimited travel and can be used on all the services – both waterborne (except Alilaguna routes and Actv routes no. 16, 19) and on land – that provide urban services within the municipality “Comune” of Venice (land services on the Lido and in Mestre except for journeys on the land-bus having Venice Marco Polo Airport as departure or arrival point). 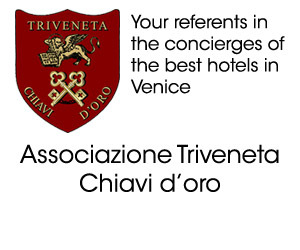 The ticket is valid for 72 hours from the moment of validation and its issue is subject to the purchase of the Rolling Venice Card, costing € 6.00. This offer is valid for young people from the age of 6 years to 29 years. For an extra charge of € 6,00 for one-way journeys only, or of € 12,00 for return journeys, all tourist travel cards (3 days within the period of validity of the ticket in time) may be used on the land-bus routes for journeys having Venice Marco Polo Airport as departure or arrival point, otherwise be excluded.